Welcome to the second edition of Two for Tuesday, where you get Two reviews each Tuesday. This week brings us Werewolves in Shawntelle Madison’s, Coveted and sorcery, intrigue and deceit in R. F. Long’s, The Wolf’s Destiny. The Wolf’s Destiny by R. F. Long is a mostly interesting read. I confess to at times being a bit confused by what was going on. This may be due to the fact that The Wolf’s Destiny is of Book 3 of A Tale of the Holtlands series. 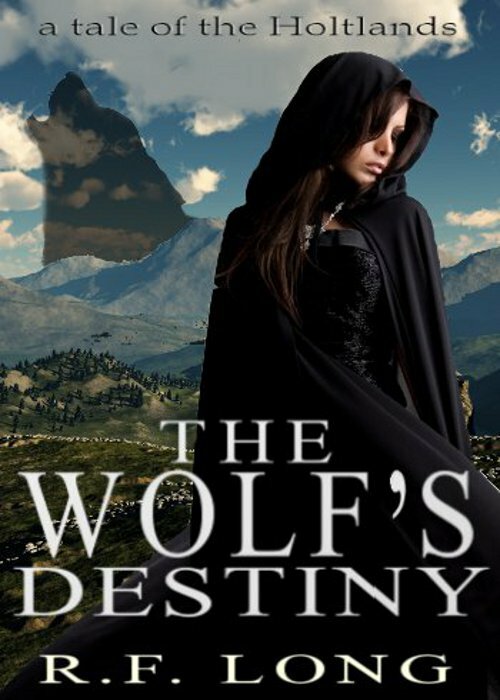 The Wolf’s Destiny begins where The Wolf’s Mate, Book 2 of the series leaves off. Again, Jeren and Shan are the central characters, with others who also stand out in this tale of fantasy, sorcery. Gillead is the crazed, insane Lord of River Holt, and Jeran’s brother. Jeran, in The Wolf’s Sister, met Shan and through many situations falls in love with Shan. Book 3, The Wolf’s Destiny, completes the trilogy and show us that Shan and Jeran have married, but can it last? Without revealing too much, we have a crazed, suicidal old man who uses magic, two people in love with each other, but afraid to tell the other, a madman intent on having a son, sorcery and so much more. Shan makes a decision that could cost him not only Jeran, but his own soul…and life. Natalya Stravinsky is a werewolf…with Obsessive Compulsive Disorder (OCD). In her human form, she works for a goblin selling antiques to other mystical creatures. Thorn, Natalya’s ex-lover, returns to town to lead the pack against the newest threat, a pack from Long Island, New York, which is intent on capturing Nat, and taking over South Tom’s River,NJ. This was a rather fun read. I identified so much with Nat, as I struggle with OCD myself. My downfall is Musical Carousal’s. I have to say that I’m not Thorn’s fan at all. I found him to be quite unlikeable. It felt like he was constantly toying with Nat and her emotions. He has been promised to another werewolf by his father, the leader of the South Tom’s pack, yet he keeps doing things that lead Nat to believe there could be a chance. Enter the good looking magician, Nick. He’s got some problems of his own, and he understands some of what Natalya is going through, but can he get past her love for Thorn, who left several years ago and has only now returned, to get married…to someone else? Personally, I hope he can. I recommend Coveted to anyone who likes knowing that the supernatural creatures have their own quirks like we ‘normals’ do. On a rating scale, this would be a ****1/2 for sure. I so want to read the second installment, Kept now. 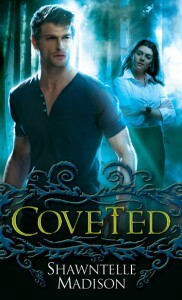 Thank you, Shwantelle for the opportunity to read and review Coveted. There you have it, this week’s, Two for Tuesday has brought us new authors and new books, at least for me. Have you read either of these books, and if so, what did you think of them? Comment below and tell us your opinion.